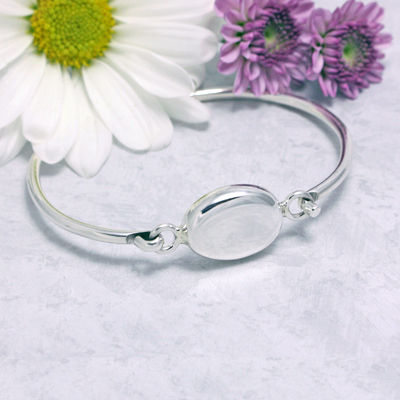 Sterling silver mothers bracelets in classic, timeless designs. 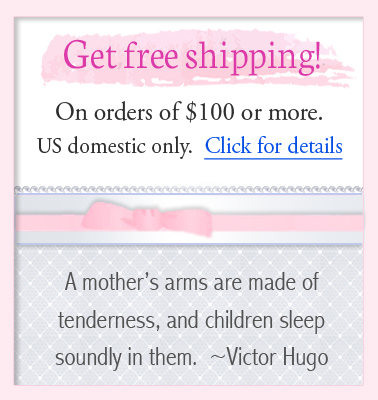 Choose our sterling charm bracelet for a unique and elegant gift for mom. 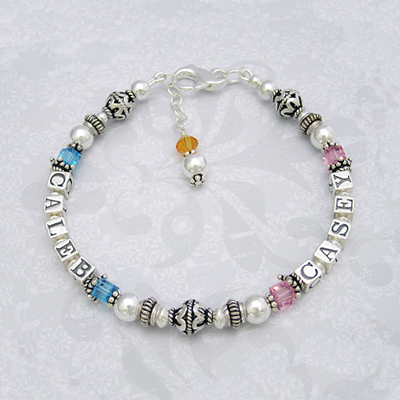 Our sterling name bracelets are customer favorites and make wonderful new mother gifts. 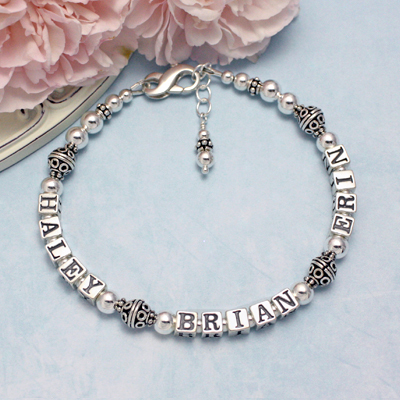 All sterling silver name bracelets in a simple, classic design that is a customer favorite. 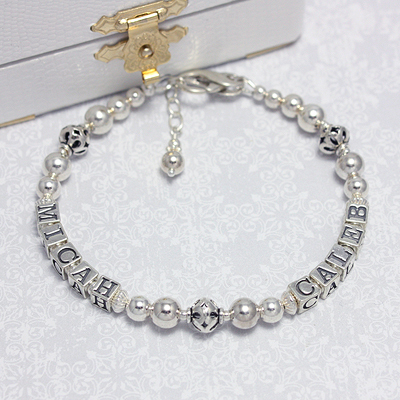 Personalized silver bangle bracelet engraved with a name or monogram, included. Size 7 inches. 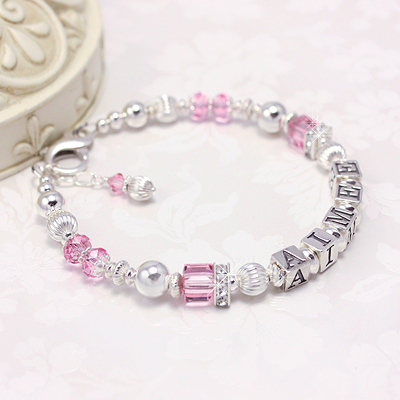 Beautiful name bracelets in sterling silver, pink crystals, and cubic zirconia for lots of sparkle. Favorite! 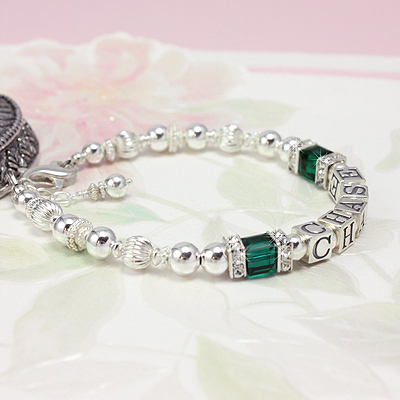 Personalized bracelets with crystal birthstones and silver cz squares. 1 or 2 strands. Best Seller! All silver mothers bracelets with a Cross bead. 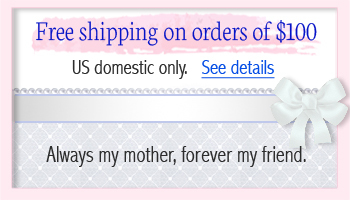 Personalize with your name choice.